We are actively efficient in offering an exquisite assortment of Process Reactor. The offered process reactor is developed with the help of quality material by our workforce as per the market norms. Offered process reactor is thoroughly tested on by our quality controllers for assuring its flawless range. 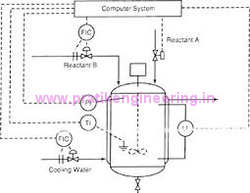 This process reactor is provided with a rubber lining, brick lining and lead bonding.